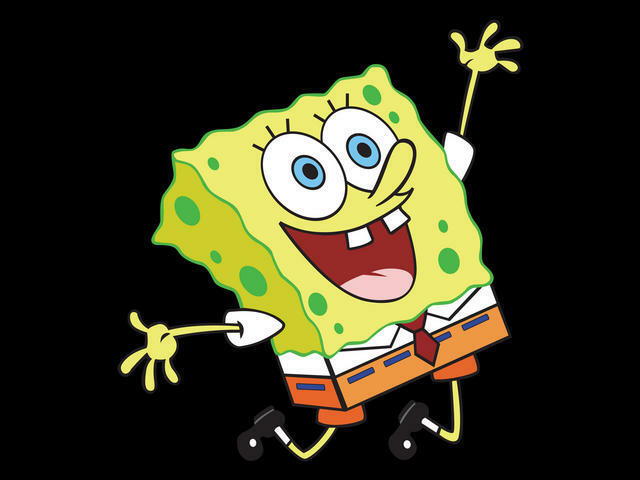 CHICAGO -- The cartoon character SpongeBob SquarePants is in hot water from a study suggesting that watching just nine minutes of that program can cause short-term attention and learning problems in 4-year-olds. The problems were seen in a study of 60 children randomly assigned to either watch "SpongeBob," or the slower-paced PBS cartoon "Caillou," or assigned to draw pictures. Immediately after these nine-minute assignments, the kids took mental function tests; those who had watched "SpongeBob" did measurably worse than the others. Previous research has linked TV-watching with long-term attention problems in children, but the new study suggests more immediate problems can occur after very little exposure  results that parents of young kids should be alert to, the study authors said. Kids' cartoon shows typically feature about 22 minutes of action, so watching a full program "could be more detrimental," the researchers speculated. But they said more evidence is needed to confirm that. The results should be interpreted cautiously because of the study's small size, but the data seem robust and bolster the idea that media exposure is a public health issue, said Dr. Dimitri Christakis. He is a child development specialist at Seattle Children's Hospital who wrote an editorial accompanying the study published online Monday in the journal Pediatrics. Christakis said parents need to realize that fast-paced programming may not be appropriate for very young children. "What kids watch matters, it's not just how much they watch," he said. University of Virginia psychology professor Angeline Lillard, the lead author, said Nickelodeon's "SpongeBob" shouldn't be singled out. She found similar problems in kids who watched other fast-paced cartoon programming. She said parents should realize that young children are compromised in their ability to learn and use self-control immediately after watching such shows. "I wouldn't advise watching such shows on the way to school or any time they're expected to pay attention and learn," she said. "Having 60 non-diverse kids, who are not part of the show's targeted (audience), watch nine minutes of programming is questionable methodology and could not possibly provide the basis for any valid findings that parents could trust," he said. Asked aboput the Nickelodeon statement, Dr. Alanna Levine, a pediatrician and spokesperson for the American Academy of Pediatrics, told ""Early Show" co-anchor Jeff Glor that, "From my point of view, the idea of the study is to look at specific effects of media on children. It doesn't matter specifically which television show it is. It's the qualities the television show has and what that does to children. So, I think there's a broader perspective here, and there actually is something we can learn from it." But, she said, "We really need more studies to look at precisely what effect it is that these cartoons are having." "The recommendation from the American Academy of Pediatrics," Levine noted, "is that children under two watch no television at all, and for children older than two, you want to limit their combined media use, which includes computers and video games, to two hours a day. And we also want to be careful about the type of programming our children are watching. It's not just the quantity, but the type, too." Lillard said 4-year-olds were chosen because that age "is the heart of the period during which you see the most development" in certain self-control abilities. Whether children of other ages would be similarly affected can't be determined from this study. The study has several limitations. For one thing, the kids weren't tested before they watched TV. But Lillard said none of the children had diagnosed attention problems and all got similar scores on parent evaluations of their behavior.